Summer is right around the corner and with this time of year comes bikini-shaping plans! Not only are we trying to lose those winter pounds, but toning and shaping our backsides has also become a focus. 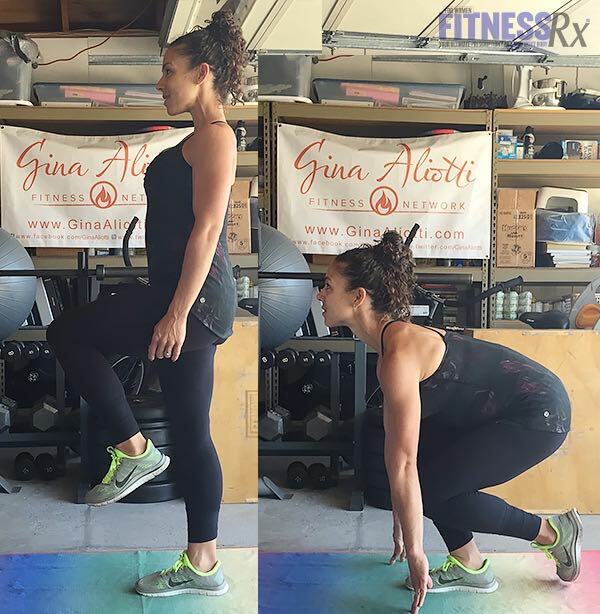 This week, I wanted to share three of my favorite exercises to shape up your backside so you can feel confident rocking your bikini this summer. We tend to do the same lower body exercises: squats and lunges, in different variations, mostly done on 2 feet. 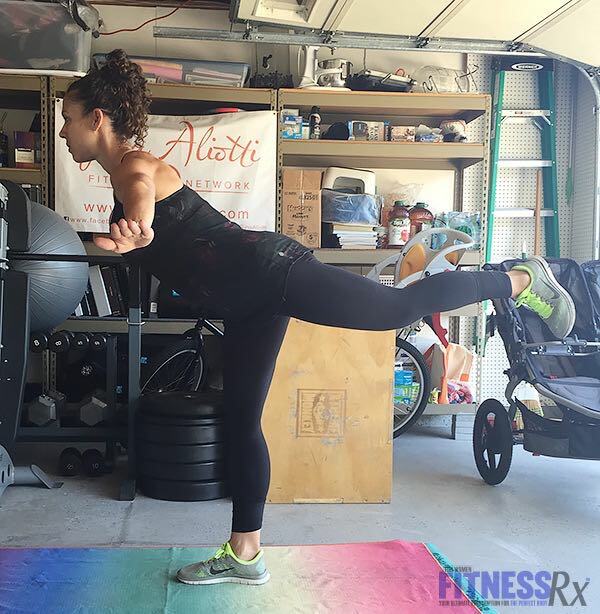 Shaking up your routine with one-leg moves can add a whole different and effective dimension to your workouts! What I love about single-leg exercises is they target not only your backside, but also having to balance on one leg helps strengthen and tone your core. Whenever you incorporate balancing into your exercises it definitely adds a bit of a challenge, but it is worth mastering these moves for results and core stability. Challenge yourself and give these three lower body exercises a try! Lying on the ground with your knees bent and both feet planted on the ground, start with a warm-up of 50 hip raises. Then raise one leg directly out in front of you while performing the same hip thrusts, squeezing at the top of the rep for one to two seconds. Do 25 reps on each side. G-Tip: Remember to squeeze your glutes as hard as you can at the top of the rep. Feel the burn with each and every thrust. Stand on one leg, lifting your other leg behind you at a 90-degree angle. Pulse it in the air 25 times. Repeat with your other leg. G-Tip: You may need to hold onto something for stability until you are ready to test your balance and use your core strength throughout the exercise. Stand on one leg with your knee bent at a 90-degree angle. Keeping your leg raised, bend down and touch the ground in front of you with both hands, then stand back up. Do 15 reps on each side.